As an Anglican Church, we baptise the children of professing Christians. The Baptism Service assumes that one or both of the parents are practising Christians and also already members of Castle Church. For the service to have any meaning for the church and family we therefore expect parents to be attending Castle Church regularly before we explore the possibility of baptising their child. This gives them an opportunity to decide whether to become members of our church family so that together we can help their child grow to know Jesus Christ as their Lord and Saviour. We are not trying to put up man-made hurdles over which parents have to jump, but to enable them to see the seriousness of the promises that they are making. For parents who are not sure about this important step, we run a course called Christianity Explored which gives the parents an opportunity to think through exactly what they do believe about God. 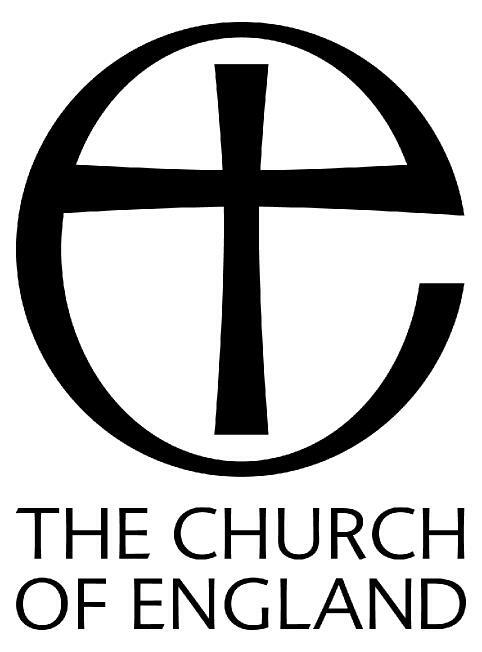 The baptism service takes place within the morning service on the first Sunday of the month at the 10.30am service This enables the Church family to share in the promises made with the parents and godparents to bring the child up within the Christian faith. Parents and godparents are expected to be able to respond with conviction and integrity to the questions asked of them personally. An alternative Service of Thanksgiving is more appropriate where the parents do not yet feel able to make the promises contained in the Baptism Service or do not wish to attend Castle Church regularly. If you would like more information on either option please get in touch with us. Many people like to see baptism as a naming ceremony for their new baby. There is nothing in the service that actually does this. For some people, there is something inside them that wants to say ‘thank you’ to God for the safe arrival of their child. That is a normal thing to want to do, but again, it is not a baptism service. In these cases it’s better to go for a Thanksgiving Service where the words are more geared to this kind of need. Are there any limitations as to who we will baptise? Baptism is for the children of the Church Family at Castle Church. Therefore it doesn’t make sense to randomly baptise people from far and wide. Therefore, we will only consider baptism for those who are regular members of our church family, preferably on electoral roll. We will explore the possibility of Baptism with parents who live within our geographical parish boundary. If you’re not sure whether you are, then go to www.achurchnearyou.com type in your postcode and click on the road where your house is on the map. This will tell you which is your local parish church. We don’t like to say ‘we will not baptise a child,’ but we may delay baptism until parents can stand and answer the questions with integrity. So, for example, one of the questions in the Baptism Service asks the parents and Godparents whether they reject sin the world and the devil. Well, all of us sin in different ways but if there is an area of life where there is a deliberate conscious public decision to go against what the bible teaches on an issue, then it would be wrong for a person to stand and say that they rejected sin! A good example of this would be if the parents of the child are unmarried. The bible says that living together unmarried goes against God’s plan for us, so it would be impossible for those parents to make that declaration publicly. In that particular case we would explore the options about marriage before baptising the child. If you have any further questions, please don’t hesitate to contact us. But…. I’m an adult not a baby! 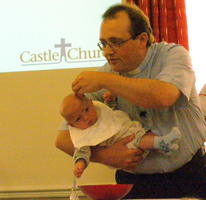 Castle Church baptises adults on a regular basis. If you haven’t been baptised as a child and want to be baptised then we are happy to talk to you about it. Maybe Christianity Explored is a good place to start thinking about it. If, having read all of the above, you feel that you would like to explore Baptism, contact Dalena in the church office: email admin@castlechurch.org.uk or ring 01785 241894. She will need some basic information such as your names, address, contact details and the name and age of your child.